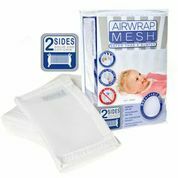 Airwrap Mesh 2 sides breathable cot bumpers – the safe and practical cot bumper alternative. How do you keep your baby from getting arms and legs stuck in the cot slats? 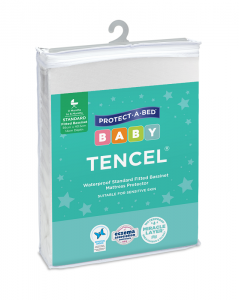 Do you want piece of mind knowing that your baby is getting maximum airflow into and around the cot? 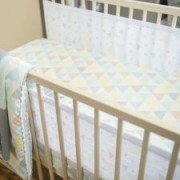 Airwrap Mesh 2 sides cot wraps by Little Linen Company tick all the boxes. 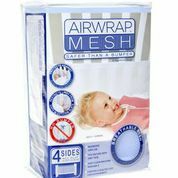 Airwrap Mesh 2 sides wraps are the alternatives to traditional cot bumpers and are made with a highly breathable mesh fabric that allows your child to sleep in comfort and safety. 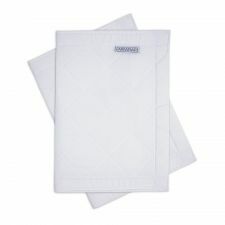 The intelligent design protects baby from bumps and bruises, and trapping arms and legs in the cot slats. You can have peace of mind knowing that they also do not allow your little one to leverage themselves up on the mesh to climb and even fall from the cot. 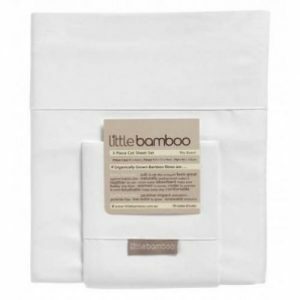 These are the better alternatives to the old cot bumpers. Get yours today! Airwrap Mesh 2 Sides offers side protection for cots with solid or fixed ends. If cot has 4 slatted sides Airwrap Mesh 4 sides are what you need. Contains: 2 Pieces, 1 x for the drop side rail, and 1 x rear side rail. 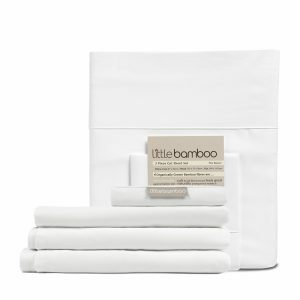 NOTE: This product is not suitable for cots with 4 slatted sides. Airwap Mesh 4 Sides will suit these cots.